Cat litter can be annoying to deal with. As your cats use it, it can start to smell and look unpleasant, and you may be tempted to flush it down the toilet as it is used. However, that can be a very bad idea. 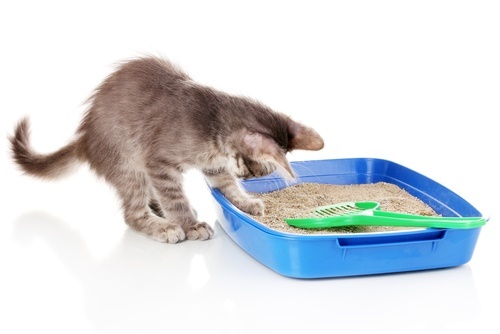 Not all cat litter is flushable, no matter how small its particles or clumps may be. Some cat litter is simply designed to be put into the trash, because placing it into the toilet may make it clump more or harden. You want a litter that is biodegradable for it to be flushable, since that means that the water will break it down naturally and easily, and it will dissolve into the environment on its own. We are going to look at a few different flushable cat litter products, and we hope that one of these will be a suitable pick for you and your cat. We would like to show you a handful of cat litter products that you can safely flush down your toilet. Keep in mind that these vary in other ways, so pay attention to their benefits and disadvantages to find out which one would be right for you. 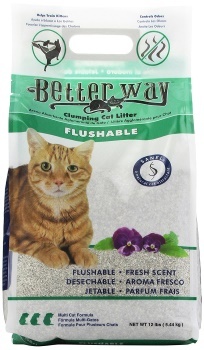 This affordably-priced, clumping litter is great for making cat litter cleanup easy and quick. Best of all, it is biodegradable and flushable, so you can get rid of it in a number of different ways. You may not want to flush your litter down the toilet, but it’s nice to know that’s an option. This particular litter is great at controlling odors, and it kills a lot of the bacteria that cause odors as soon as it come into contact with them. It also prevents odors from escaping for up to a week, so you have long-lasting odor control without having to empty out the entire litterbox. This litter is also very absorbent, so you can use the same pan of litter with multiple cats for a while before you need to get rid of any of it. The manufacturer boasts that their litter can absorb up to five times its own weight in cat byproducts. This is one of the better clumping and odor control titers, and it is also perfectly flushable. That’s due to its natural composition, and there are no artificial dyes or fragrances in its makeup to cause it to be toxic or harmful to the environment or your cats. 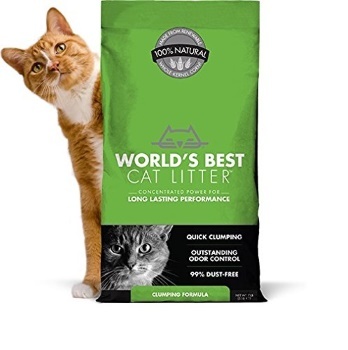 The name may sound like boasting, but this is generally considered to be the best or one of the best cat litter products available. It is consistently ranked high on lists of the best litter available. KittyCatter.com ranks it as number one on its list. The only downside to this litter, really, is that it can be costly, but that’s the price you have to pay to get the best. This litter is excellent at clumping together and turning a lot of litter mess into easy to remove clumps. It is going to cost quite a bit, particularly when you compare it to some similar litter products. The biodegradable formula ensures that you can safely flush it down the toilet. You also don’t have to worry when your cat decides to eat some of it, as cats are often prone to do. You won’t find any dyes or perfumes in it, so it doesn’t have a pungent odor that will drive your cat way from using the litter box, but that also means that its odor control could be better. That’s a tradeoff you will have to make if you go with this litter. This product actually had the word “flushable” in its name at one point, but that has been changed to reflect its environmentally friendly qualities. It’s still flushable, though, and it is priced fairly affordably, especially when you stack it up to some of the competition. The small granules it is made up of are going to be gentle on your cat’s paws, but those will clump into larger, firm groupings that are easy to get rid of. Even when it clumps, it is still safe to flush down the toilet. It’s also a good litter to use to keep the litter box smelling nice and staying easy to clean. The way the granules are manufactured prevents urine from settling at the bottom of the litterbox and creating a pasty litter or a sticky mess. Using a unique litter format that makes it easy to see potential health problems with your cat, this lighter litter is ideal for people who have sensitive cats. It’s soft and gentle and it clumps fairly well, making it a breeze to clean up. On the downside, your cat is probably going to track this litter through the house, and you will pay a lot for what is essentially a small bag of litter. There is not a lot of dust to worry about, which means that you and your cat won’t be sneezing and coughing around the litter box as your cat uses it. This flushable litter is made from natural components and designed with zero toxins, so it is safe if your cat decides to ingest it. 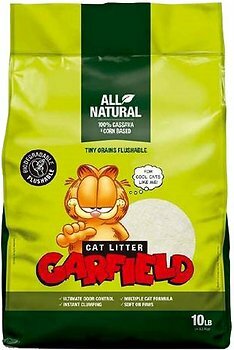 Not all natural litter is flushable– Just because a cat litter is labeled as natural or even biodegradable, that does not mean it can be flushed down the toilet. Pay attention to the packaging and find out for sure if something is flushable before you treat it as such. Not all flushable litter is okay for your pipe system– Even cat litter that is advertised as being flushable may not be right for your plumbing system, according to Mother Nature Network. It can still clog up your pipes and cause you some plumbing problems, so read all the instructions and information on the product you are considering before you buy and before you decide to flush it down the toilet. Beware of pollutants- Your pet may have parasites from time to time, and if you flush the litter down the toilet, you can send those parasites into the sewage facility and eventually out to the rivers or ocean. It’s better to toss litter with parasites in it into the trash to protect the environment and other animals. Consider other factors– There is more to choosing the right cat litter than just how flushable it is. If it has a strong scent, your cat may not like it, according to wayofcats.com. Cats tend to have sensitive noses, and if the scent is overpowering, then they may stay far away from the cat litter you bought for them. Now that you have seen our picks for the best flushable cat litter, you need to make a decision. Did you find one of these suitable for you and your cat’s needs? We certainly hope so, as using flushable litter can take a lot of the work out of cleanup for you and make it much easier to keep your house looking nice and your cat’s litter box smelling great.